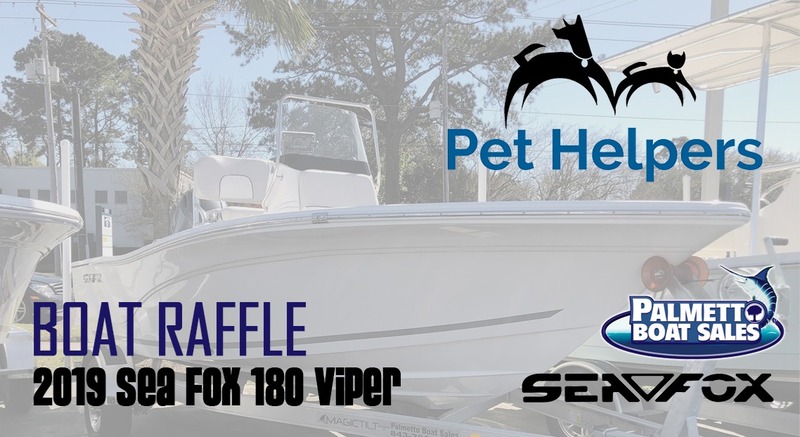 The raffle is for a 2019 Sea Fox 180 Viper. This New 2019 Sea Fox 180 Viper Bay Boat is Powered by a Yamaha F115XB, and options include a Garmin 64DV 6" Color GPS/Depth Sounder, Infinity Bluetooth 4 Speaker Stereo, Dual Batteries w/ Switch, Pre-Rigged for Trolling Motor, Twin Livewells, Leaning Post & Aft Seating as well as a Custom All-welded Aluminum Magic Tilt Trailer. Winner is responsible for taxes, insurance and warranty. A reserve of 300 tickets must be met for the drawing to take place. A maximum of 750 tickets will be sold. If 300 are not sold, we will be doing a 50/50 raffle. Drawing will take place on Jun. 23, 2019, at the Charleston Maritime Center. Winner does not need to be present to win.